This pie was made to celebrate a garden full of rhubarb! Size: This pie was made in a standard 9 inch pie plate. 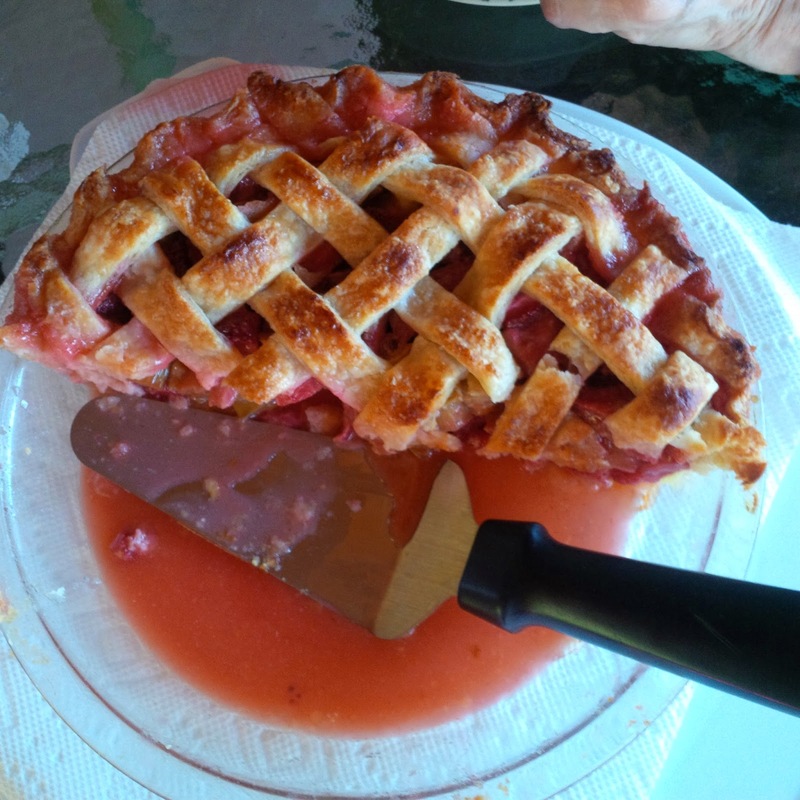 Taste: This is a strawberry-rhubarb pie, using fresh rhubarb from the garden and store bought strawberries. The crust is a homemade buttery, flaky delight! Perfect ending to a summer meal.